Four years ago today, my brother died. I miss him every day and while I don’t want to dwell too much on sadness, I never want to let this day go by without acknowledging what a hole his death left in my life. He was the only member of my family (of origin) with whom I spoke every single day, in some capacity. I miss those talks. I miss the intelligence and the moral compass. I was surfing his first blog (which is still online here) the other day and felt such grief. But — sappy as it sounds — he wouldn’t want that. So I will add that I was so lucky to have him as a brother and friend. …in which I wish Frank Sinatra a happy 100th and in which I consider songs that only he could sing. I wrote about my brother yesterday and said I would write more today. I think of him every day, of course, but when the anniversary of his death — Hallowe’en — approaches, I think of him more intensely. This week, I got my usual “grief migraine”, for example, and I also found myself thinking of a conversation he and I once had about a show we both loved, Mad Men. He and I were both Mad Men addicts and had long conversations after each new episode. One episode by which we were both particularly touched was The Gypsy and the Hobo. It takes place over Hallowe’en, and as Don and Betty navigate an upheaval in their marriage, Sally and Bobby are unhappy that they can’t have store-bought costumes. Don reminds them that the store-bought costumes are cheap. Betty makes them beautiful costumes — a gypsy and a hobo — which they wear but do not appreciate. As a kid, I was very jealous of my friends who had tacky store-bought costumes. My mom made me a beautiful Red Riding Hood outfit, which I wore but did not appreciate. 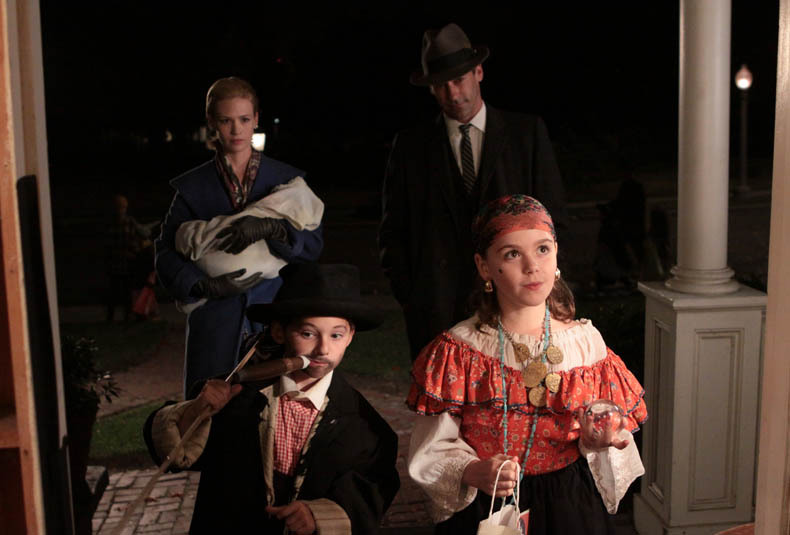 I shared that memory with Alan, who was very touched by it, as he and I both were by the episode’s ending: Don and Betty, standing behind their trick-or-treating gypsy and hobo; Betty holding their baby, Gene; the adults shaken by Betty’s earlier uncovering of Don’s secrets, trying to put on a happy front for the neighbours, for the children, for themselves. I did not want to let the anniversary of 9/11 go unmarked. Please watch this beautiful commercial — which aired only once — from the people at Budweiser. It is really pitch-perfect and brought tears to my eyes. Yesterday was the 20th anniversary of my dad’s death. My dad died relatively young — at 73. His oldest brother, my uncle Alan, died last weekend at 96. I posted a pic of them together as little fellas on my Instagram account (please follow if you wish!) here. And here is my uncle’s obituary. Quite a life.